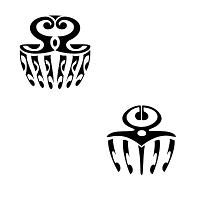 Duafe is an Adinkra symbol that comes originally from Ghana, and on this account we placed it in our section dedicated to Africa, even if it has been revisited in a Maori style. It represents a woman comb, and it symbolizes beauty and femininity. 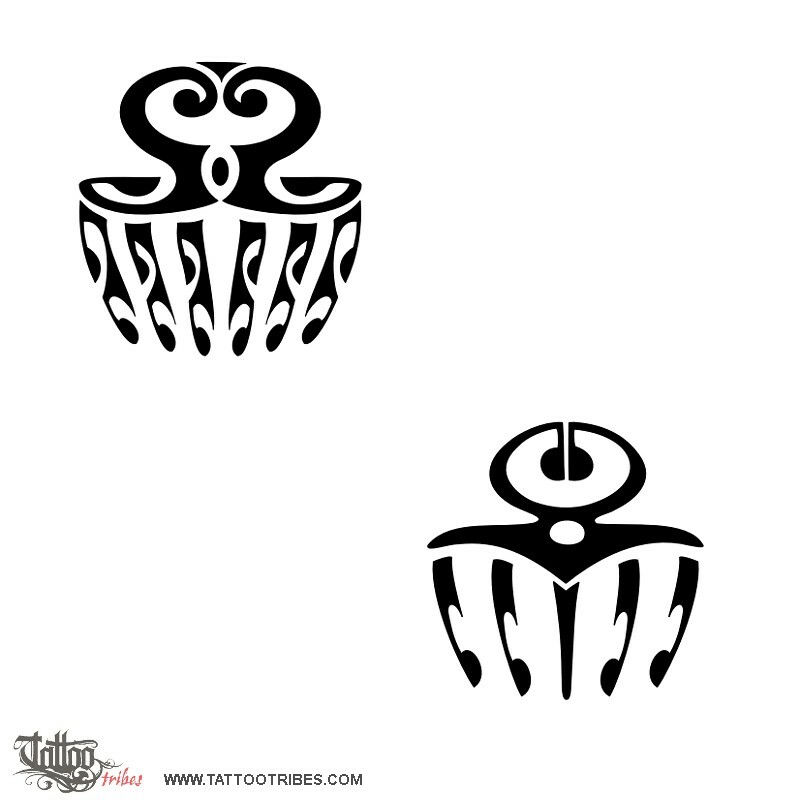 Accordingly we thought of using the motifs of the waves (water itself is a symbol of femininity and fertility), korus (new life) and a stylized manta in the second version, a symbol of beauty and freedom.